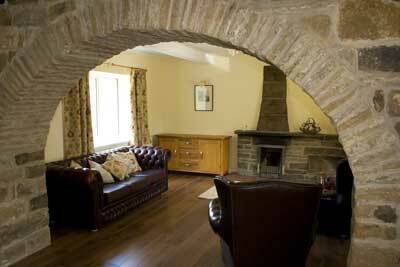 The lower floor of the original farm cottage comprises a through kitchen/lounge area with spacious seating and eating areas. 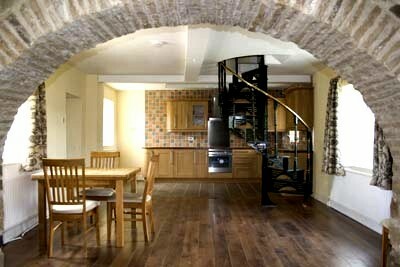 The photo on the right shows the new kitchen with a spiral staircase leading to the bedrooms..
A comfortable seating area provides space for relaxing, reading or television viewing. Central Heating from a wood burning boiler provides the major source of heat throughout the property whilst a log burning fire in the lounge offers additional heating if required. 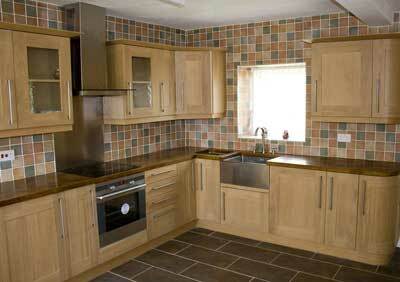 The spacious newly equipped kitchen gives cooking facilities with all modern amenities. A full range of modern appliances include electric cooker and hob with extractor, larder fridge, washing machine and microwave. 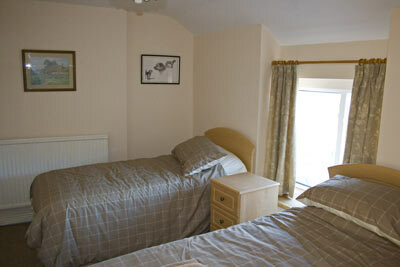 The main bedroom has a double bed with a comfortable memory foam mattress. En-suite bathroom facilities are provided to this room complete with bath ,shower cubicle, basin and w/c. 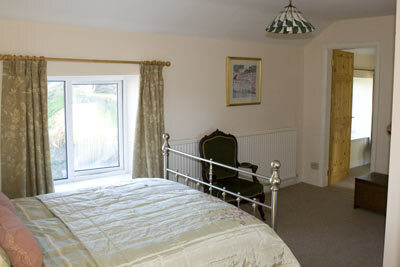 The second bedroom has twin beds with en-suite facilities identical to the main bedroom described above. The twin beds can be made up as a double by prior arrangement.